The name I keep bringing up for a prospect whose stock is going to skyrocket is Cleveland outfielder George Valera. With just 6 games in the AZL to go off of, most people don’t know too much about Valera. That’s why he was ranked outside of MLB Pipeline’s top 100 and 5th in the Cleveland system. Valera was a J2 signing out of the DR in 2017 and dealt with a hamate injury which cost him lots of development time last year. Look for him to dominate wherever he ends up this year and I fully expect him to be a top-30 prospect at this time next year. On the flip side a guy who I have been consistently lower on than everyone else is Keibert Ruiz from the LAD. First, I just hate owning prospect catchers. Second, they take so damn long to develop and guess what: receiving and game calling is hard! Hitting major league pitching is also hard. Doing both when you aren’t that great of a receiver is not easy. I am betting this will be a long and frustrating road to fantasy relevancy. 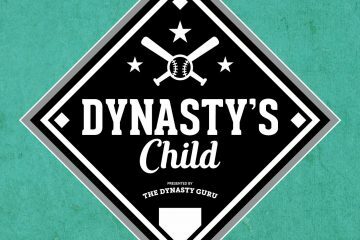 In a few months, it’ll seem like Fernando Tatis Jr. has “broken out” as a legitimate MLB talent, and taken a step forward in his plate discipline. In reality, he already broken out in the Dominican Winter League, which Clay Davenport finds slightly more difficult than Double-A. He trimmed his strikeout rate to 21%, a significant step forward from his 28% rate in Double-A. He’s maintained his step forward in contact this spring, with a 27% strikeout rate in the hardest league he’s played in—a league populated by major leaguers. A consolation pick is Isaac Paredes, who is in rare company to have not only made it to Double-A at age 19 but to have thrived there. His High-A numbers were also excellent, though driven down by an artificially low BABIP. 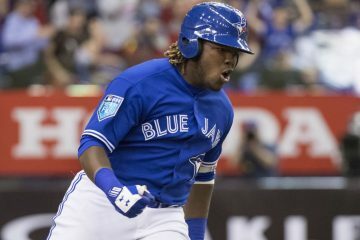 The list of 19-year-olds with a wRC+ of 110 or greater in Double-A is very short (minimum 100 plate appearances, wRC+ in descending order): Vladimir Guerrero Jr., Jason Heyward, Ronald Acuna Jr., Xander Bogaerts, Justin Upton, Nomar Mazara, Mike Trout, Jesus Montero, Ozzie Albies, Rougned Odor, Isaac Paredes, Fernando Tatis Jr., Francisco Lindor, Jurickson Profar, Manny Machado, Giancarlo Stanton. I’ll take those odds. Brendan Rodgers is a good bet to disappoint in 2019. He still profiles as a solid, above average hitter, but if you can find an owner who values him as a future star, take advantage. His age-relative-to-league performance in 2016 and 2018 suggests limited upside, with 2017 appearing to be an outlier year. Anywhere outside Colorado Rodgers wouldn’t rank as a top 40 fantasy prospect. He’s in Colorado, though, so he has solid value. Just don’t expect him to ever be a cornerstone of your pretend franchise. A prospect to invest in is Cubs shortstop Nico Hoerner. He tends to get downgraded because of his supposed lack of power but there is little doubt in his ability to make hard contact. If given a choice between a prospect with a studly hit tool and questionable power, or a prospect with studly power and a questionable hit tool I will take the former. It is much more common for a good hitter to boost his power than for a slugger to boost his hitting ability. Guys like Mookie Betts, Francisco Lindor and Jose Ramirez all developed power after reaching the majors and I think Hoerner could do something similar if not to the same degree. Brendan Rodgers of the Rockies is a highly-touted prospect who still gets top billing despite putting up some fairly pedestrian numbers in very hitter-friendly minor league environments. This kid is still riding his draft slot (#3 overall in 2015) and some Coors’ field wet dreams to the top of prospect charts but he simply hasn’t lived up to the billing the past two seasons. Combine that with the fact that the Rockies don’t typically place much faith in their young studs (see David Dahl, Ryan McMahon, Raimel Tapia etc.) and it could be years before Rodgers helps your fantasy team. Trade him if you own him. I am sort of taking a stab in the dark here, but I think there could be a big future in store for this kid. As a 17-year-old in the Dominican Summer League, Rodriguez put together an impressive .315/.404/.525 slash line. He also had some success as an 18-year-old in a brief spring stint. George Valera is another guy that I think could put together some ludicrous numbers and end up emerging as a top prospect – while his performance sample is probably too small last year as he dealt with an early injury, he comes in with a reputation of having a nice stroke and a high level of polish. Others I could easily see emerging as a top prospect include Nolan Gorman, Luis Garcia (PHI), Grant Lavigne, Luis Patino, and Xavier Edwards. I think Nick Madrigal has come in with perhaps a little too much hype. He has great bat-to-ball skills, but right now I’m not convinced he will turn enough of those into hits. I’d love to be proven wrong. I believe that the 6’6”, 240 lb. Pearson will make a Jesus Luzardo type of jump into the top 25 of prospects within the next year. Pearson currently appears on most Top 100 Lists, but usually is outside of the top 50. A lost season in 2018 was a result of an early oblique injury followed by a line drive on May 7th that broke Pearson’s arm and ended his season after only five recorded outs. By the time Pearson returned, it was for the Arizona Fall League where he frequently touched 100 MPH, and was even clocked at 104 in the Fall Rising Stars game, along with a 95 MPH slider. His results last fall were a mixed bag, but for someone who had barely touched Advanced-A ball, there were a lot of positive signs against tougher competition. FanGraphs puts Pearson at a 70/80 (current/future) grade fastball, along with a 60/65 slider, to go with a curve and change that are still developing. I suggest checking out the gifs here in a great Lance Brozdowski breakdown and seeing how effortless Pearson’s delivery and extension are, along with some filthy examples of his repertoire. The risks include the overall theme that anyone who throws 100 could injure their elbow, along with innings limits that may linger for years but I think this is the last chance to buy in on Nate Pearson. As for my faller, this is not to say that Madrigal will be a disappointing MLB player, but I tend to look at upside in dynasty leagues and compared to the other top picks from the 2018 draft class, Madrigal seems a bit ordinary to me from a fantasy perspective. He’s going to certainly hit for average, rarely strike out, and play excellent defense. He should contribute in steals, but will likely be limited in power categories. Listed at 5’7”, 165, Madrigal may turn out to be better in points leagues that reward extra-base hits with fewer strikeouts, but I’m staying away in Roto. Marco Luciano is a guy I expect to take off like a rocket in 2019. Sure, the 19-year-old was already ranked number 3 on MLB.com’s Top 30 International Prospects, and he did sign for a hefty $2.6 million, so he’s not exactly ‘off the radar.’ But the best is yet to come. Watching the lithe shortstop slap line-drives over the wall reminds me of Francisco Lindor. Luciano has all the tools to stick at short, but down the line he may end up in the outfield. 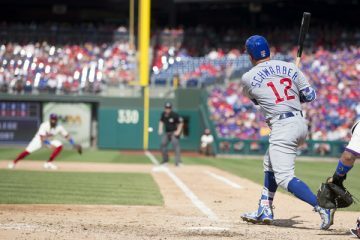 Regardless, he is an offensive force with the speed to dominate on the basepaths, and his powerful but easy swing looks like it will yield fantasy bliss. If he has any sense of plate discipline at all, he will thrive. It would not surprise me to see him become a Top-10 prospect very, very soon. Drew Waters has the defensive chops and raw potential which gets scouts and fans dreaming of what could be, and these tools earned him the 49th rank on Fangraphs Top 100. I’m more concerned about what I’ve seen. Waters is already showing signs of the plate discipline issues that cripple a player’s value and limit their ceilings. He hasn’t exactly advanced very far either. I’ll be watching Waters closely this year to see if he was able to improve his plate approach during the winter. If not, I’ll continue staying far away at his current price. There are simply too many other outfielders who can’t take a walk and strikeout too often for me to consider rostering a younger, much more unproven iteration of the same flawed idea.